Most of us know Mahabharat. An like me, even you might have wondered how the people felt at what was going around them, how much were they really involved in the greatest war of times. How exactly the power politics was played in each of the character's heart. A little bit more about each of the character (and did we not try to answer these with our imagination! ) This book gives an answer to many such doubts and curious thoughts. More than that, it tells you the tale of one of the most powerful and influential queen - her ideas as a girl , a lady and a woman at heart. Her lessons and experiences make it a worthy read. Read this poignantly told book and discover a new face of Mahabharat ! 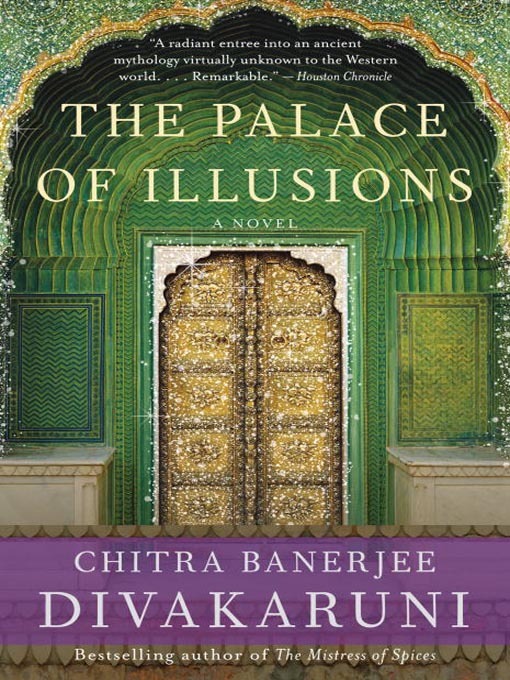 Synopsis : The novel traces Panchaali’s life, beginning with her magical birth in fire as the daughter of a king before following her spirited balancing act as a woman with five husbands who have been cheated out of their father’s kingdom. Panchaali is swept into their quest to reclaim their birthright, remaining at the brothers’ sides through years of exile and a terrible civil war. 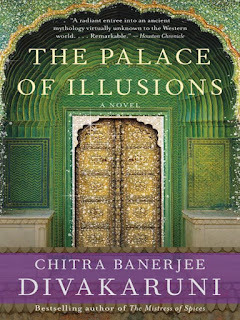 Meanwhile, we never lose sight of her stratagems to take over control of her household from her mother-in-law, her complicated friendship with the enigmatic Krishna, or her secret attraction to the mysterious man who is her husband’s most dangerous enemy. Panchaali is a fiery female voice in a world of warriors, gods, and ever-manipulating hands of fate. As Dhai Ma counted out the feast foods on her fingers, smacking her lips in happy remembrance, my attention veered to the meaning of the names our father chose. Dhristadyumna, Destroyer of Enemies. Draupadi, Daughter of Drupad. Dhri’s name fell within the bounds of acceptability—though if I were his parent I might have picked a more cheerful appellation, like Celestial Victor, or Light of the Universe. But Daughter of Drupad? Granted, he hadn’t been expecting me, but couldn’t my father have come up with something a little less egoistic? Something more suited to a girl who was supposed to change history? I answered to Draupadi for the moment because I had no choice. But in the long run, it would not do. I needed a more heroic name. Nights, after Dhai Ma had retired to her quarters, I lay on my high, hard bed with its massive posts and watched the oil lamp fling flickery shadows against the pocked stone of the walls. I thought of the prophecy then, with yearning and fear. I wanted it to be true. But did I have the makings of a heroine—courage, perseverance, an unbending will? And shut up as I was inside this mausoleum of a palace, how would history even find me? u will be highly amused with the stories in ds book FL ! !